Continuing on the same theme of last week, today we bring you another new feature related to pictures, the View User Photos section. 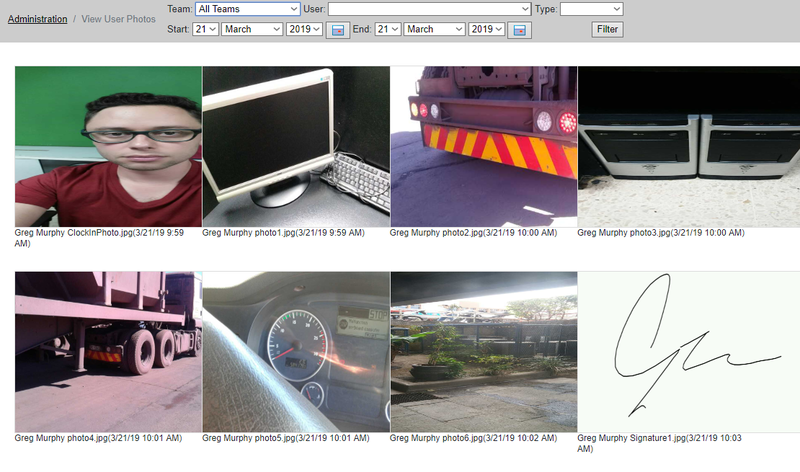 This new functionality will allow you to view all the pictures and signatures captured by all of the users, as well as focus on specific teams, users and date ranges, just like on a report. Once inside, you will be able to use the different filters to look at all of the available pictures and signatures captured out in the field. Each image can be clicked on to download it into your hard drive, it's that easy!